COLUMBUS, Ohio -- It has been a year since a ride at the Ohio State Fair broke apart mid-swing, killing one 18-year-old man and injuring seven other people. Inspections for this year's state fair were underway Tuesday. 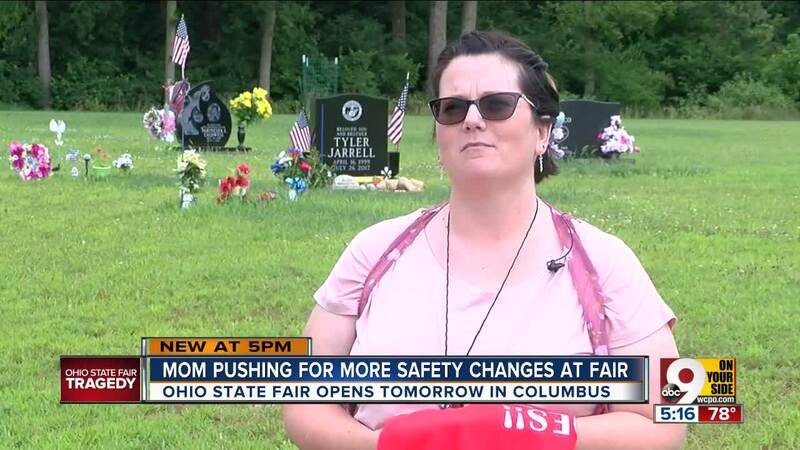 When the fair opens Wednesday, there will be some changes, but the mother of the man who was killed is still pushing for more. Amusements of America is still the ride owner and operator working the fair. They showed off a new video this year displaying new testing techniques. The company brought in a third-party "to inspect, to analyze and thoroughly go through every one of our rides," said Jill Walls with Amusements of America. The state still has just eight inspectors to check on about 3,700 rides statewide. But officials said there have been some changes, including new training and more spot checks. "The amusement industry was a very safe industry to start with, and will become much better moving forward," said Jonathan Brooks with Wagner Consulting Group, the third-party inspection company. But some want to see changes that are more significant, including Amber Duffield. She's the mother of Tyler Jarrell, the 18-year-old who was killed in the ride failure last year. "I'm not about pointing blame or being angry, because none of that will get you anywhere, and that's not where we're at with this," she said. Duffield has tried to promote "Tyler's Law," which would revise amusement ride operation and safety laws. However, the law appears to have stalled in the state legislature since it was introduced in May. "There definitely is some emotion attached to the fact that this didn't get ... taken more seriously in it passing," Duffield said. In the meantime, Duffield is continuing to visit her son's grave daily. "I tell him about things that happened or things that are going on," she said. Duffield also tells her son he's still making a difference. Tyler was a Marine recruit, and he'd have been at bootcamp by now. But she's still hoping to get a law passed. 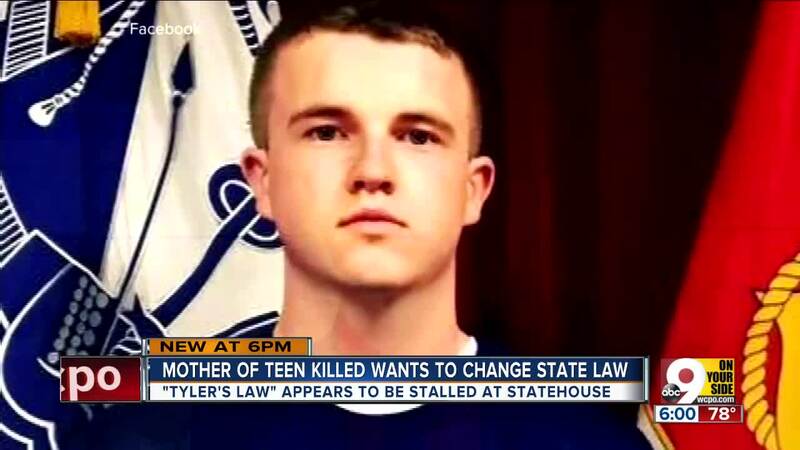 The family will be inside the state in matching Tyler's Law shirts Wednesday. Tyler's girlfriend, a University of Cincinnati student who suffered traumatic brain injuries in the ride failure, is also expected to join them. "I don't want anyone else to have that, because that was terrible," Duffield said.